i was moved to buy my first book by jeffrey alford and naomi duguid. i think it was after watching a documentary about their travels in east asia which was really research for said book: hot sour salty sweet. the food they were learning about and eating was enticing, but what was special about them was the interest they took in the how and the why of everything. they immersed themselves in the places, culture and people they visited, sometimes learning family recipes from grandmothers, other times speaking to “experts” in an area. i understood they really cared about every aspect of what really makes a recipe from the history, ingredients and techniques to the culture. the recipes in all of their books are simple but perfect and the pictures capture the people and places they experienced. i feel proud that they are canadian and inspired that they are from toronto. i hope i can do as good a job as them one day–pay as much respect to recipes and where they come from, and relay them with such accuracy and efficiency. 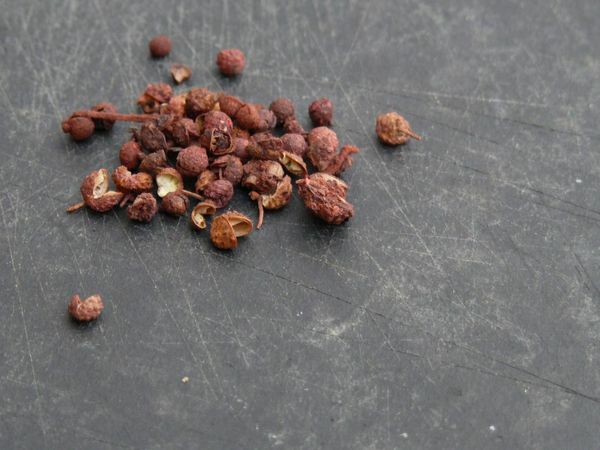 i learned to use sichuan pepper through some of the recipes they share. i searched high and low for it in the beginning. it took at least 3 separate trips in which i visited every store in chinatown, every major spice seller in kensington market and the st. lawrence market, and finally returned to chinatown to hunt it down. 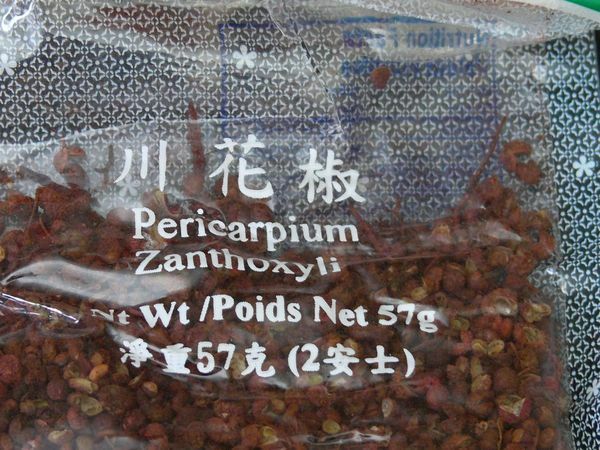 and even then, i only bought what i thought sichuan pepper was, the only words i could recognize on the package being of latin origin. i didn’t have to waste my time on the internet (years ago, in the dark days before wikipedia) to try to work backward and make sure the label confirmed i’d bought the right thing. i could have looked in the glossary of hot sour salty sweet, which not only had the english and latin name, but gives this description: “…gives a numbing warmth to the mouth and has a pleasing aromatic taste.” we might describe it as “umami” now. it’s become one of my favourite spices and i add it to many of the stir frys and sauces i make since experimenting with it a little. it’s an ingredient in the black bean sauce recipe i’m posting next. so go get some, quick! if not for my recipe, for any you might come up with. it’s more versatile than it sounds and may become one of your favourites too.